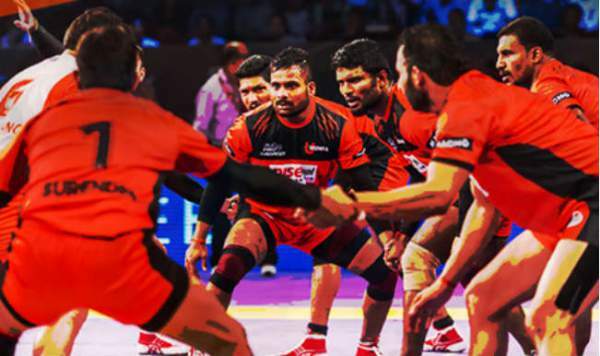 U Mumba vs Dabang Delhi Live Streaming Info: PKL 2016 Score; Pro Kabaddi Match Preview – 2nd March – UM vs DD: On cards, it looks like a mismatch of the opponents in the upcoming game of Kabaddi. In the first match of today, Puneri Paltan defeated Bengal Warriors. In today’s second game, Mumbai side is going to play against Delhi team. The Mumbai vs Delhi PKL 2016 match will be live telecast at 9 pm IST on Star Sports 2 / HD along with Star Gold. The live streaming of the match will be available on Star Sports official website and Hotstar app. This is the last league match of the league season 3.
check: Earthquake in Indonesia – Tsunami Warning. The game appears to be mismatch because Mumbai team is currently at #2 in the PKL 2016 points table while Delhi side is lying at the bottom #8 in the table. However, there is still some hope to see some good contest. Maybe the competition will witness some good old rivalry. It may be a cracker in our hands. If U Mumba wins this match, they will reach to the top of the table and play the Bengal Warriors in semifinal. However, if Delhi wins then they will reach to number seven. In this case, Mumba will play Puneri Paltan in the semifinal. Anup Kumar (C), Anoop EV, Prapanjan, Masayuki Shimokava, Pawan Kumar, Pradeep Kumar, Rishank Devadiga, Shabeer Bapu, Suresh Kumar, Vinod Paulyas, Jeeva G, Jeeva Kumar, Mohit Chhillar, Surender Nada, Vishal Mane, Bhupendra Singh, Jawahar Vivek, Abolfazel M, Fazel Atrachali, Hadi Tajik, Ravi Kumar.